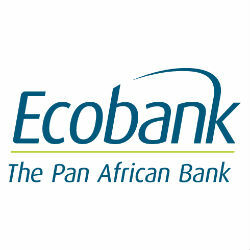 Ecobank, the Pan-African Bank, has won the award for ‘Best Use of Information Technology in Wholesale/Transaction Banking’ at the Banking Technology Awards 2014 in London. Ecobank was recognised for Ecobank Omni, a comprehensive suite of flexible online cash management solutions, designed to help corporations increase productivity, manage their cash flows and help with an efficient management of their working capital cycle. It provides corporates with full transparency, visibility and control over all of their cash management needs across Ecobank’s pan-African footprint. Ecobank is the leading pan-African bank with operations in 36 countries across the continent, more than any other bank in the continent. Ecobank started operations in Tanzania in January 2010 and has since grown to include 9 branches across the country.